Opening Village Doors Foundation is an international development 501 (c)(3) non-profit based in Grand Rapids, Michigan with a branch in Kenya. The organization was founded in 2009 on a principle; that the human spirit has potential given the opportunity to thrive. At Opening Village Doors Foundation (OVDF) our objective is simple. 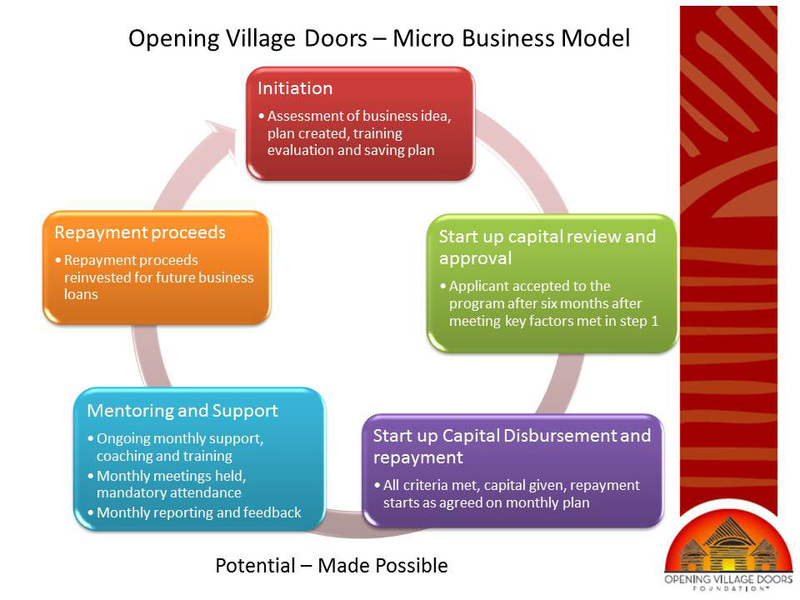 One of the primary ways in which we do this is through our micro business program as highlighted in the model below. With a population of over 200,000, Ngong’ is a division of Kajiado District; one of the 18 Districts within the Rift Valley Province, located in the Southern part of the Province. Ngong’ is a busy town surrounded by farming areas, many residents work in Nairobi and return home in the evening while some work on their farms. The volcanic soils in the area make the area an ideal place for farming. Like many towns in Kenya, Ngong’ has its own shadows; not far from the small town of Ngong’ there exists a small slum called ‘mathare ndogo’ named after the second largest slum near Nairobi that is called Mathare. The housing units are built of iron sheet, boxes and polythene papers. The units are extremely hot during the day and extremely cold during the night. 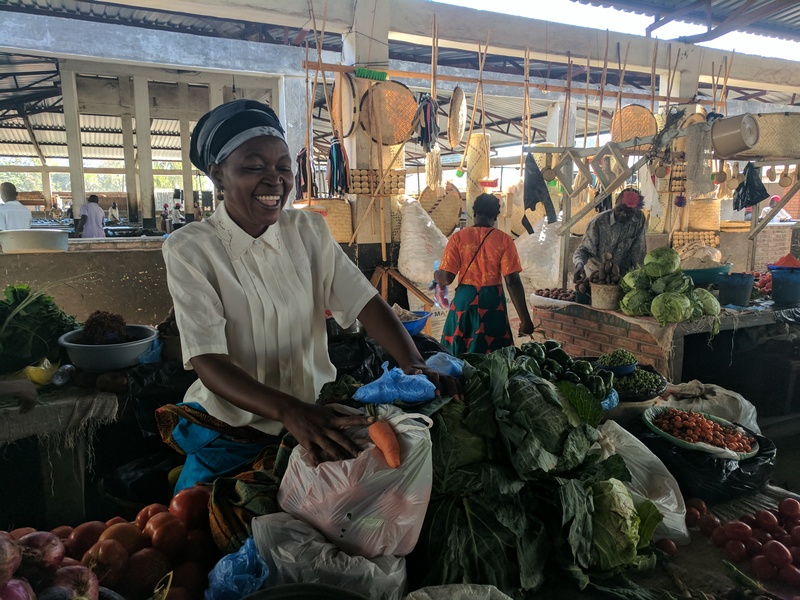 In this environment exists wonderful ideas and projects that range from the making of liquid soap at home, raising chicken, daily farming, raising pigs, an internet café, selling fish, a tailor shop, a small restaurant and more. Our goal is to support these families to generate revenue so that they are able to support their own families.